Our team of commercial HVAC specialists provide design and planning, installation and consultation to the commercial and industrial sector. Flow Rate Ltd provide specialist assistance to facilities management companies, schools, care homes, hospitals as well as many other commercial and industrial business properties. We understand that every company requires a unique solution. With a comprehensive understanding to all different commercial business properties, our team of HVAC specialists maintain and provide a safe, comfortable working environment. Whether your company requires servicing and breakdown assistance, new installation requirements or a bespoke maintenance package, we are here to support and solve your problems when it comes to Heating, Ventilation and Air Conditioning. Flow Rate Ltd are a team of Specialist engineers that provide these services to the commercial and industrial sector. 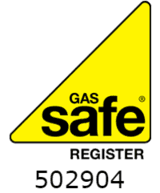 Gas Appliance Installation, Repairs and Servicing. Plant Room Inspection and Maintenance. Catering Gas Appliance Installation, Repairs and Servicing. Air conditioning Installation, Repairs and Servicing. Pipe fitting and welding services. Pipe Insulation and Lagging service. Water treatment, Disinfection / Chlorination services. Specialising in commercial, industrial and domestic heating and hot water systems, Flow Rate Ltd Heating Specialists provide a service of the highest quality regardless to the size of the job. From commercial boiler installations to domestic boiler repairs we will use our experience and knowledge to meet your needs. Why not check out our Video channel on YouTube. Here we demonstrate some of our work as well as providing easy to follow ‘How to’ videos. Our step by step guides will ensure your plumbing flows right! Don’t forget to ‘subscribe’ for our regular updates. Our team consists of qualified plumbers whose main focus is to solve the problems you encounter at work or at home. As well as heating services, we also offer general plumbing solutions to commercial and domestic properties alike. No matter what the problem is, you can guarantee Flow Rate Ltd will provide a solution. For a free estimate, call Flow Rate Ltd Heating Specialists today! “Finding a reliable plumber can be difficult but Flow Rate is the exception. My heating system was in need of a serious overhaul and Tony and Luke did a first rate job on it. Although it was a bigger job than originally expected they worked on into the evening to complete it - and for the quote provided.